At Jacksonville City Hall Friday, it became official — the city’s Main Post Office in New Town is now known as the Rutledge Pearson Post Office. Pearson was a civil rights era titan not only known for his own advocacy, but his mentoring of young activists who went on to participate in the city’s most pivotal protests. 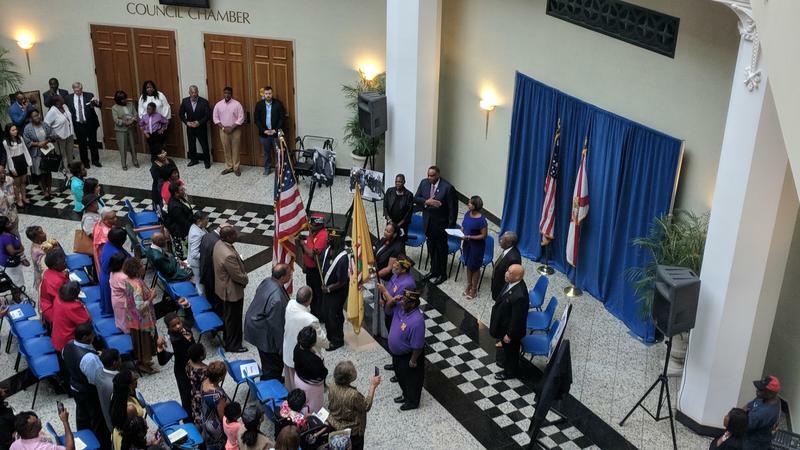 Scores of people attending the ceremony Friday joined voices at its outset, singing Lift Ev’ry Voice and Sing, a hymn written by Jacksonville’s own James Weldon Johnson and declared the Black National Anthem by the NAACP. Pearson, a Jacksonville native, accomplished much in his short 37-year life. He was a gifted baseball player shutout of the majors because the minor league Jacksonville Beach Sea Birds team at the time would rather shutter its park than let a black man play. Pearson was the president of the local NAACP branch and eventually a board member for the national NAACP. But he was also a mentor to young activists and a history teacher in a segregated classroom who refused to play by Jim Crow-imposed rules. Rodney Hurst, a young organizer of 1960 lunch counter sit-ins in Jacksonville was one of Pearson’s pupils. “Jacksonville Youth Council Meetings were really extensions of Mr. Pearson’s American History Class and Mr. Pearson’s classes were studies in civil rights. At the ripe old age of 11, I could not understand and appreciate the width and the breadth of this giant and Mr. Pearson’s courage, but I would soon become a quick learner,” he said in a speech Friday. Hurst called on residents to remember the trials and accomplishments of the past. Rutledge Pearson, Jr. agrees, saying the name change could serve as an educational tool. But his father’s work doesn’t stop there. “What we have to do now is put in the curriculum that we learn about all races in schools, [and to] not afraid to tell the truth. America’s made plenty of mistakes, but only America can get better if they acknowledge those mistakes and move on to become a better country and that goes with the education system,” he said. Congressman Al Lawson also spoke at the ceremony. He filed the bill calling for the dedication which was signed into law by President Donald Trump in March. 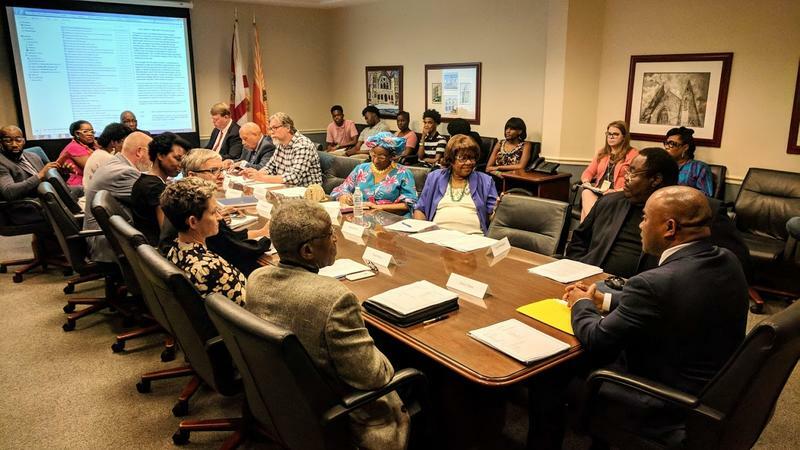 An independent group working at the behest of outgoing Jacksonville City Council President Anna Lopez Brosche has finalized a report detailing how the city can do more to leverage its civil rights history, 54 years after the U.S. Senate passed the Civil Rights Act of 1964.